IPL produces filtered light at a wavelength that specifically targets the subcutaneous oil glands. The filtered light permanently disables these glands whilst destroying the acne bacterium which breeds there, causing the infection that leads to spots. 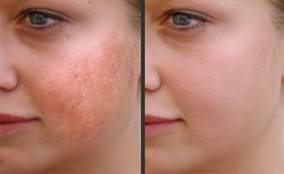 IPL is tailored to correct a skin conditions ranging from hyper-pigmented discolouration (age spots, freckles and flat pigmented birth marks) to small spider veins, redness, rosacea, fine wrinkles. IPL is the treatment of choice as it offers a safe, non-invasive solution that can be tailored to an individual’s and skin type.